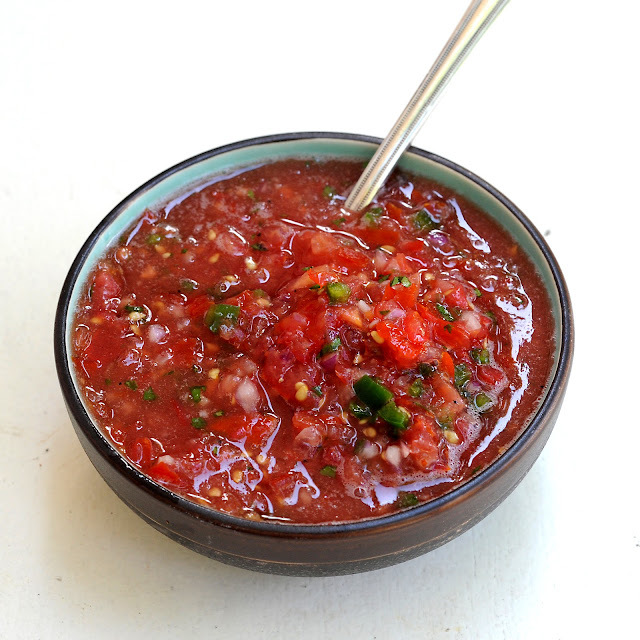 Is it salsa or pico de gallo? I actually used the same recipe and made both. One version is chunky, hence the pico de gallo title and the other is blended, hence the salsa name. "The term "pico de gallo" is Spanish for "beak of rooster". According to food writer Sharon Tyler Herbst, it is so called because originally it was eaten with the thumb and forefinger, and retrieving and eating the condiment resembled the actions of a pecking rooster." My family loves homemade guacamole, salsa's and dips. I had a special request to make this for our upcoming outing for the 4th of July. The recipe is a no brainer if you have made this before. It has basic ingredients and you adjust the temperature with more or less jalapeno. You can make it more unique by adding mango, pineapple, cucumber, cumin or jicama. NOTE: Fresh jalapeno's vary on heat. I have had 10 jalapeno's and 9 were not hot but the one was like eating fire. I recommend sampling your raw jalapeno before adding it to your salsa to verify how hot your salsa will be. You can also use jalapeno's from a jar. Dice the tomatoes into small squares. I usually leave the seeds and soft pulp out of my salsa. Dice the onion and jalapeno's. Mince the cilantro. Add more cilantro if this is a flavor that you love. Part of making a recipe is sampling the food. 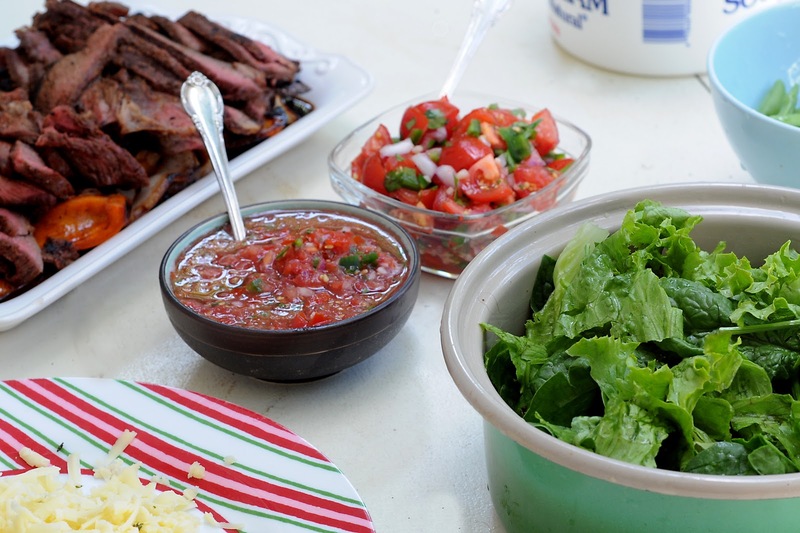 You will want to make sure the salt/acid levels in your salsa meet the expectation of your taste pallet. If you need more acid, add a bit more lemon. Needs more salt, add more salt. Spicier? Add more jalapeno. I usually take my mixture and put half in the blender to make it into my salsa. My family likes this best with their chips because the chips don't break.